These 15oz. 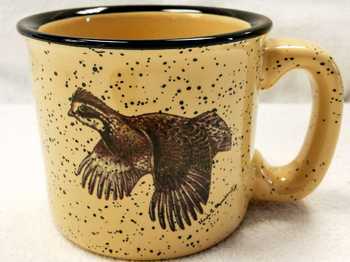 almond with black speckles trail mugs are designed with the Bobwhite Quail artwork, original painting by Floyd Broadbent. The Bobwhite Quail is part of the Upland Gamebird series of paintings.